Guided hiking and camping gives you the best combination of expert assistance and economy for the W trek. 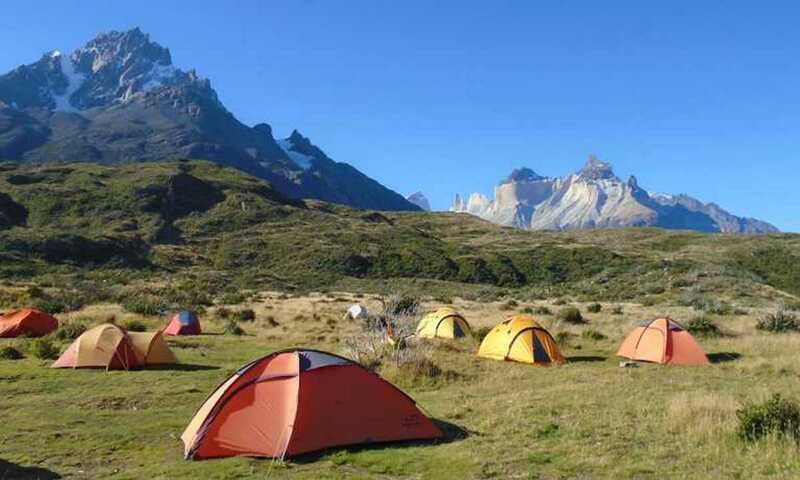 Tents are waiting at the stops, so there's no heavy gear to carry but you still get the feeling of living wild within the park, while local guides explain the geography and wildlife, and help to pace your walking. 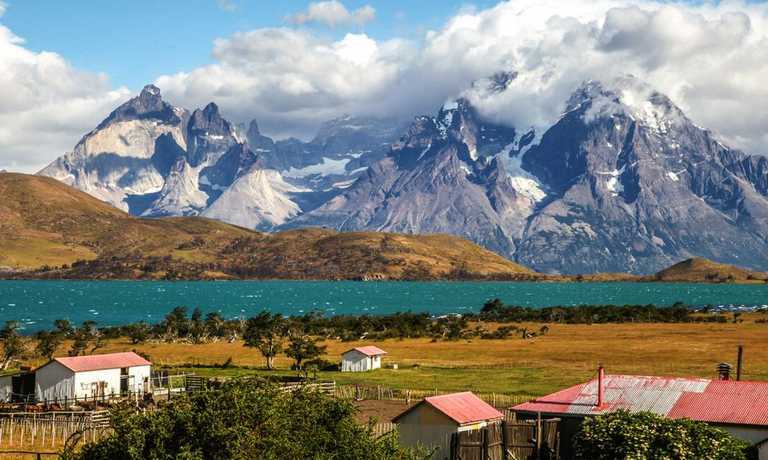 Early in the morning you will depart with your guide on a bus from Puerto Natales to Torres del Paine. The trip to the park entrance at Laguna Amarga is approximately two hours. After arriving to the park you will take the catamaran across Lake Pehoe before you begin a four-hour hike through a small forest and then along Lake Grey. Most days this section of the park is very windy, due to openness provided by Lake Grey, Glacier Grey and the Southern Ice Field. After about two hours of hiking you will get your first glimpse of Glacier Grey. You will continue hiking for two more hours until arriving to Camp Grey where you will spend the night. 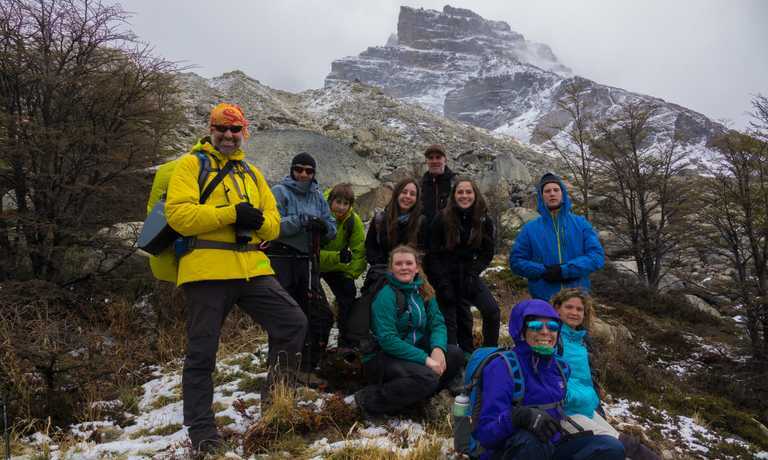 There are two optional excursions you can take today in the afternoon or tomorrow in the morning while at Refugio Grey – ice hiking on Glacier Grey or kayaking on Lake Grey. In the morning you will have an energizing breakfast and then prepare to hike again. If you would like you can continue past the camp with a day pack for a spectacular view of the glacier and a chance to cross one of the parks famous suspension bridges. Shortly after breakfast you will begin hiking towards Campamento Italiano. This camp is 2.5 hours away. Once you arrive to Campamento Italiano you will hike across a moraine and through a forest until you come to a clearing. Here you will be blown away by both the wind and the spectacular views of Lake Nordenskjold, Skottberg and Pehoe behind you, the hanging French Glacier just ahead of you and by many other peaks. After leaving the lookout you will return to Paine Grande to gather your things and take the catamaran back across Lake Pehoe. From here you will catch a bus and shuttle to Camping Torre Central where you will spend the night. 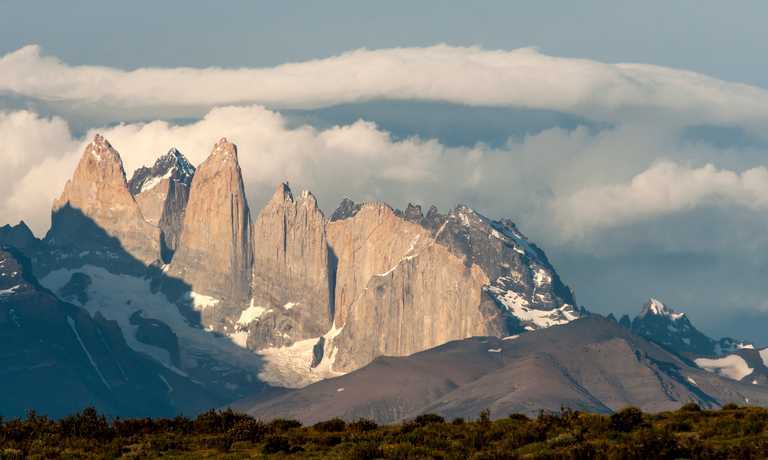 Today, you will hike to the iconic towers of the park – Las Torres! After breakfast, you will begin to hike up Almirante Nieto, a mountain with incredible views of Lake Nordenskjold and the Asencio Valley. Hike steadily upward for two hours until you arrive at Refugio & Camping Chileno where you will be able to enjoy your lunch before continuing onto the Las Torres lookout. Traverse through a dense Lenga forest for one hour, then approach a moraine and climb until you see Las Torres — imposing granite peaks rising 9,000 feet into the air. This impressive sight will take your breath away! After taking some time to relax in front of the majestic peaks, you will hike back down the moraine to continue hiking through the Asencio Valley, downhill to Camping Torre Central. Say goodbye to your guide ready to begin your journey back to Puerto Natales, by shuttle and then bus. What a wonderful trip we had. It could not have gone any smoother; thank you for your impeccable coordination, from the planning in advance to the execution each day! We loved every minute of it. This trip can run as a group trip, with prices starting from $1,338 per person for a complete group. If you are looking to join a group or you are a solo traveller we will help to form likeminded groups of travellers. Please let us know your travel plans. Price of $880,000 CLP per person is indicative based on a group of 2 people. Price of $660,000 CLP per person for a group of 4 people. Price of $580,000 CLP per person for a group of 6 people.